Getting ready Pictures. They are probably the most important shots of the day. Mother of the bride, Maid of Honor, bridesmaids and close personal friends are always present. 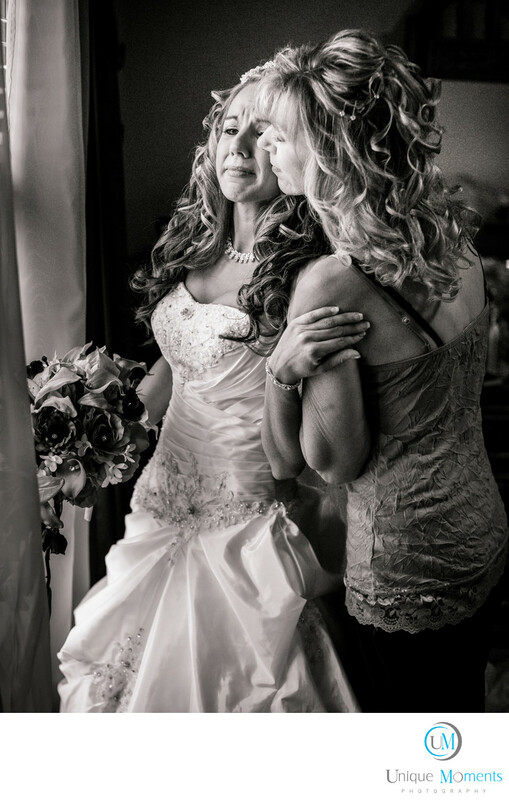 It is one of the best opportunities for photographers to capture compelling emotional images. This mother daughter relationship is obviously very close and one of our favorite images in 2012. It was the moment the bride realized that nothing was going to be the same. She was getting ready to go see the groom for the first look and she would not be coming back to that room anymore. All of those childhood memories in that bedroom came to a conclusion. She was about to enter a new phase in her life. Truly an for Unique Moments Photography to capture this image. Location: Unique Moments Photography Gig harbor Washington 98335.